The latest evidence refuting USDA’s co-existence fairytale comes from arecently published study by a team of USDA scientists. The study involved Monsanto’s Roundup Ready alfalfa, which, like most GE crops in the U.S. is engineered to survive direct spraying with Roundup, Monsanto’s flagship herbicide. 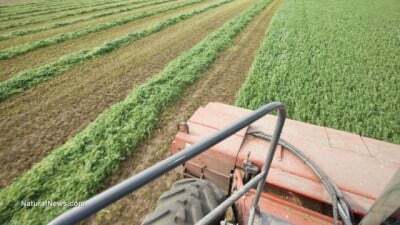 It’s important to note that the study’s major finding – that feral GE alfalfa is present and poses a contamination risk – has been known for at least six years. Oregon alfalfa seed grower Phillip Geertson presented USDA withdocumented evidence of feral GE alfalfa in Idaho and Oregon in 2009, but was ignored. More broadly, USDA exhaustively discussed this and other modes of transgenic contamination in its voluminous 2010 Environmental Impact Statement (EIS) on Roundup Ready alfalfa. In fact, buried in that EIS is data showing still earlier episodes of transgenic contamination of alfalfa dating back to the crop’s first commercial introduction in 2005.